Book Club with Sylvia Kent (January 2019) Nihal Paul, talks about his life and book. 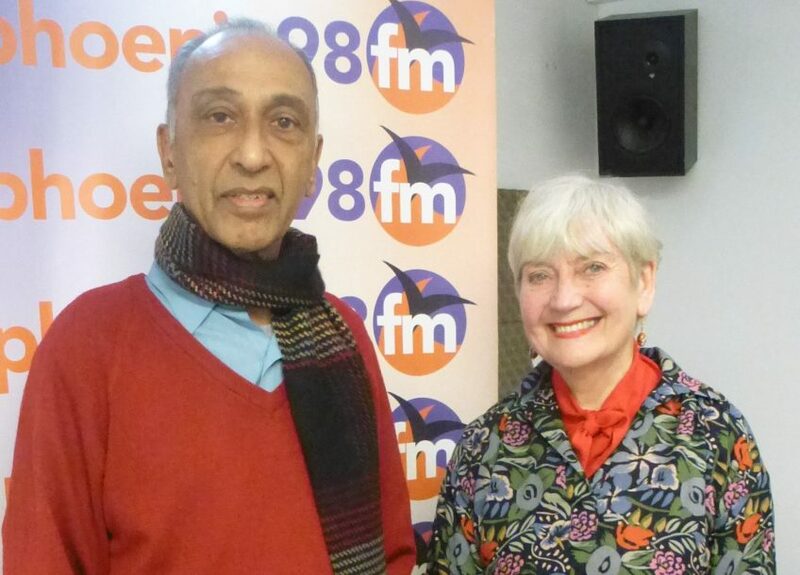 Michelle Ward was joined in the studio by Sylvia Kent and this month our guest was Nihal Paul. A fascinating talk with Nihal about his life and his up and coming book. Details will be updated once the book has been published. This book brings to life the struggles of every human being, who wants to celebrate his/her natural instincts of curiosity, exploration and adventure. From very early age, the protagonist of the narrative, persistently pits his wits against the God of Religion and this God’s angry, unreasonable, uncompromising, control freak followers. The struggle continues. The age old controversy between Spirituality and Religion, Truth and Falsehood, between the Unfathomable Mystery and the man-God in heaven, is carefully embroidered into an eclectic and idiosyncratic narrative of the author’s experiences that are gathered from the depths of lush and dark forests, from the tops of the glacial mountains, and from many other parts of the world, and expressed through the unbridled imagination, freedom, and the sense of humour of a free soul. The Book opens with the young protagonist falling out of the window of a house, onto the cliff face, in the foothills of the Himalayas and lands safely into a chair, in the dining room of a hotel in Tunisia. From there, he journeys back into his childhood in the breathtakingly beautiful foothills of the Himalayas, where encounters with wild beasts happened frequently. Where lightning, thunder and hailstorms had something to do with God breaking wind. The protagonist is born and brought up in a house that is clinging to the face of a sheer cliff, surrounded by thick forests, no other human habitation within one half mile. As a F/L columnist/author 11 books/7 anthologies) my articles have appeared in national, regional magazines and online journals. Following Freelance Writer of the Year award for Writing Magazine, my work has appeared in 70 titles and my book FOLKLORE OF ESSEX contributed to Channel 5’s film COUNTY SECRETS. My book THE WOMAN WRITER, published by History Press is sold at the British Library. This history of the Society of Women Writers & Journalists starts in 1894 and includes pioneers who made their mark in journalism, literature & poetry. I celebrate the centenary of Joyce Grenfell, a former SWWJ president. A chapter is dedicated to Joyce. My books were reviewed in The Times and other dailies. I am SWWJ’s archivist working on several journals including on-line specialists. There are also several books downloadable via Kindle. Details on Facebook, Twitter and Amazon @sylviaakent & Film/audio clips now added. My latest book co-written is THE BILLERICAY ZEPPELIN. BARKING & DAGENHAM FROM OLD PHOTOGRAPHS sells well. I am now a Vice President of SWWJ. www.swwj.co.uk Currently 313,000 page views recorded. Please note the previous heading for this interview stated that Nihal Paul to be a theologian which was incorrect. Apologies to Mr Paul for any embarrassment caused.